FACEBOOK SPACES : WHAT IS FACEBOOK SPACES | HOW FACEBOOK SPACES WORKS – Spending time with your loved ones brings so much joy to our life but we cannot always be physically around those we care about. With the recent release of Facebook’s new VR (virtual reality) app that lets users draw, chat, connect to people on Messenger and more in 3D virtual space called Facebook Spaces we can always be in close contact with our loved ones anytime anywhere. The new VR app lets you have a good time with your loved ones in a virtual environment but it does it so well you’d feel as if you were in the same room. It’s easy to create an identity that represents the real you in Facebook Spaces. This helps people recognize you. You can login through your Facebook account and create a ‘VR avatar’ of yourself using one of your Facebook photos or any of the available options in the app. Then you can invite your Facebook friends to join you in the 3D VR ‘Space’. The new app comes with a selfie stick to Spaces as well. It can be used to take VR photos that users can share with friends on Facebook. The new Beta version of Facebook Spaces gives you total control of the VR space by letting you pause a ‘Spaces’ chat at any time and you can even move into a quiet space where you can take a break away from other people. It also gives users control to mute or remove friends from a space. 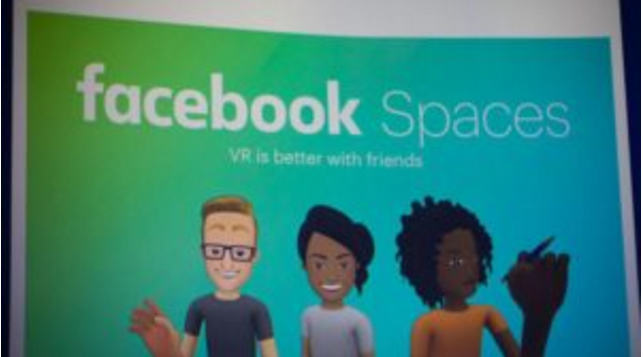 Facebook Spaces lets you easily bring anyone in on the fun, all you need is to phone a friend in the real world with Messenger video calling, and you can easily make the VR space more fun with more people. When they answer your call on their phone, a window into your virtual world instantly opens. Through the app, you can showcase any of your talents or have fun in any way you want; it’s one of the best ways to be in the moment together, from anywhere.